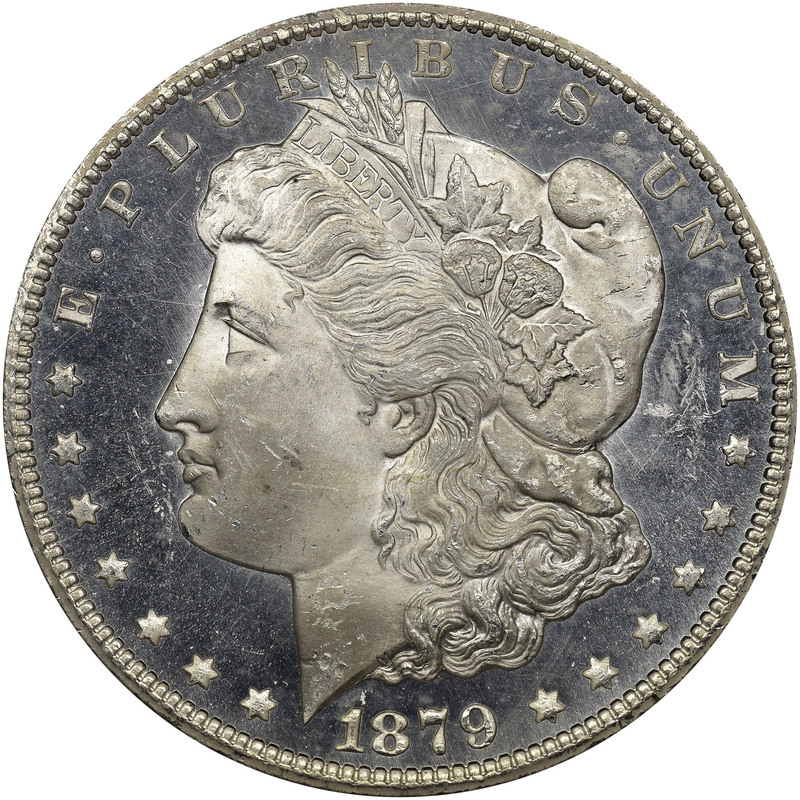 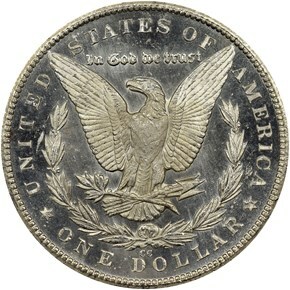 The 1879-CC Morgan dollar has a lower mintage than the 1880, 1881, and 1885 Carson City issues, but is actually much harder to find today than those lower-mintage issues. 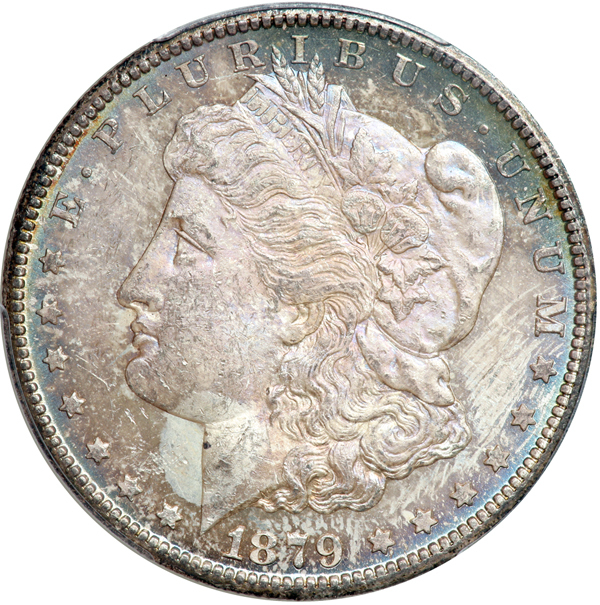 The main reason for this is that the survival rate of 1879-CC Morgan dollars was simply not all that high. Whereas the other dates all had major representation in the GSA sales of the 1970's, the 1879-CC Morgan was woefully absent. 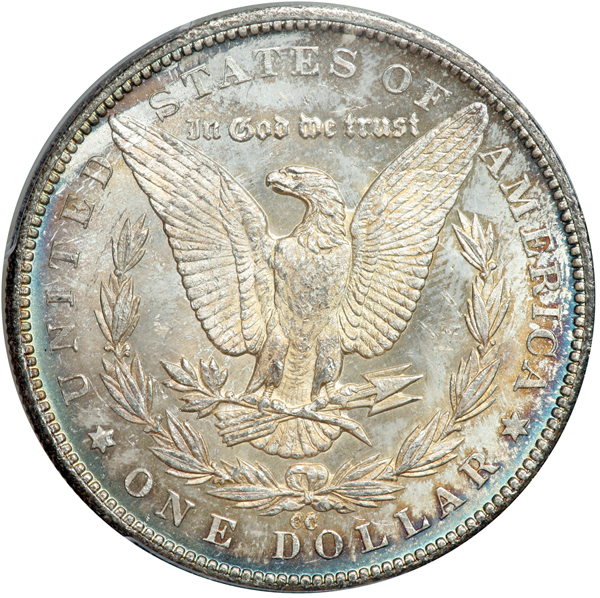 This means that high grade examples are even harder to find, making this a scarce and highly desirable coin in mint state.